Step 2: Select the Store that contains the tax for your desired exemption. Step 4: Select the More option beside the tax type that you want to add an exemption to. 3. Select the Taxable Amount (Exemption) option. Step 1: Select Create New Rule to begin creating your new Tax Exemption rule. 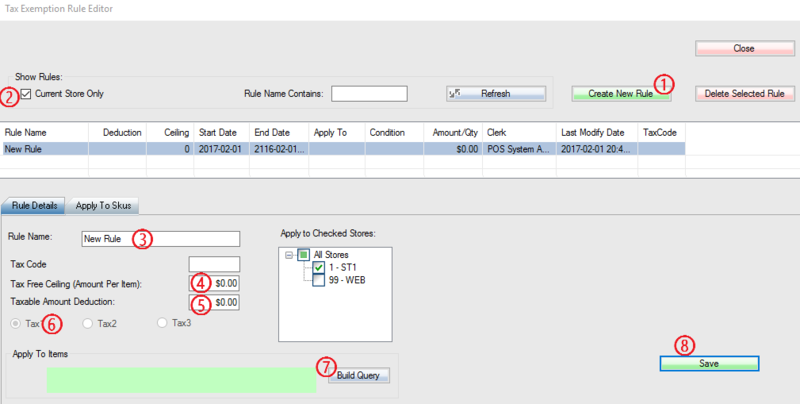 Step 2: If desired, you can select the box for Current Store Only to only display the rules for the store you are currently logged into. Step 3: Type in a name for your rule. Step 4: Enter the retail price in the Tax Free Ceiling field to declare up to what dollar value your items will be sold without tax. (E.g. $200: Everything below $200 will be sold with no tax. Set to $999,999 if you want to exempt full tax). Step 5: Taxable Amount Deduction will deduct a particular amount from the retail price of the item before tax is calculated. Because the item retail price ($250.00) is above the ceiling ($200.00), you will only charge tax based on the difference of the Item retail price and the Taxable Amount Deduction. Which in this case would be $150.00 and calculated as: Item retail price ($250.00) – Taxable Amount Deduction ($100.00) = $150.00. Let’s say this is applied to Tax1 which in this example is 12%, then the 12% tax will only be applied to the $150.00 which = to $18.00 for this particular example. 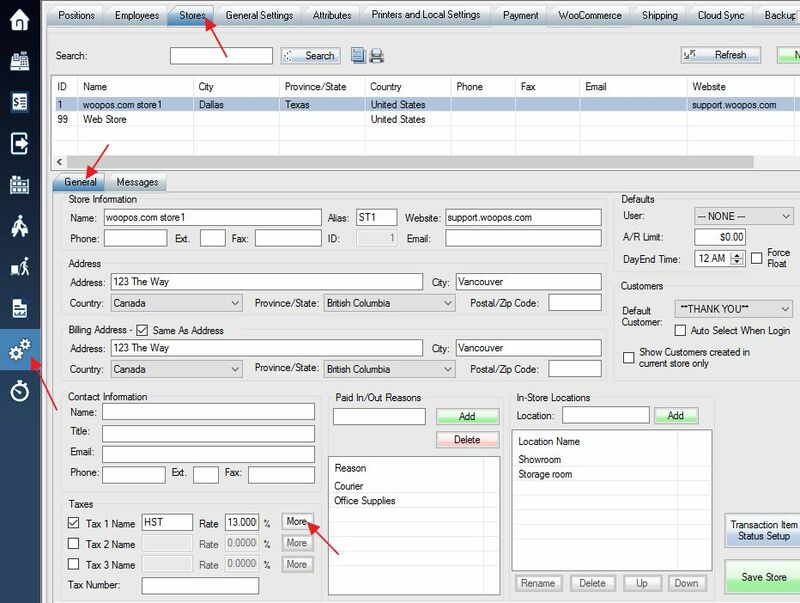 Step 7: Build a query for which applicable products or selected group of customers (See: Building a query for more details). Step 8: Click Save to finalize the rule that you have created.